The Swiss designer Paolo Fancelli lives and works in Biasca. A frequent collaborator with Giroflex, he is the designer behind the global best seller giroflex 64 – a classic. 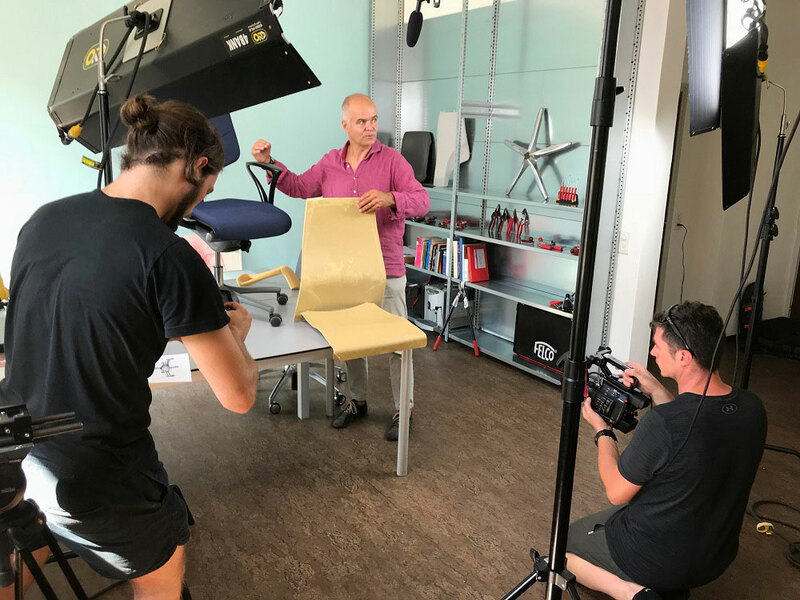 With the giroflex 64 celebrating its 20th anniversary in 2018, we saw it as the perfect opportunity to travel south to interview a Giroflex design icon. 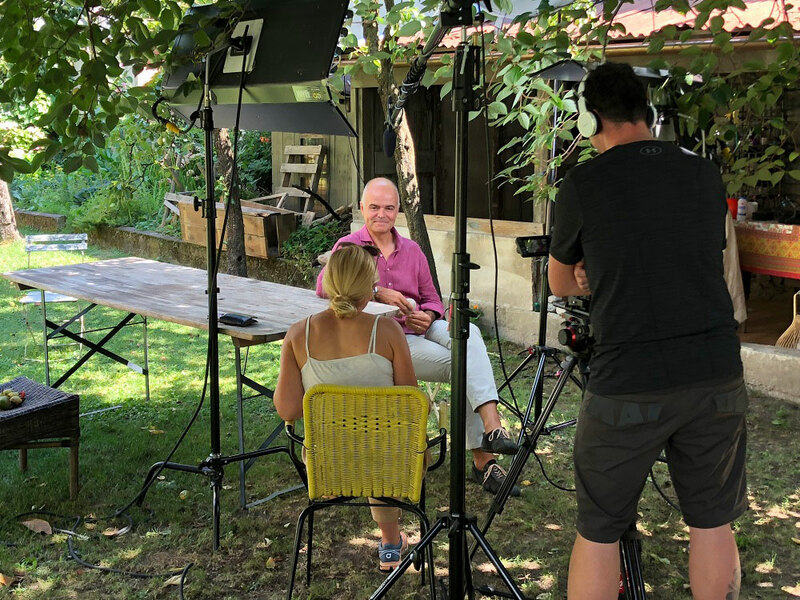 Two videos, four venues, one day – can it be done? A journey from Koblenz to southern Switzerland is essentially an expedition through a whole variety of countries. The myriad sights to be seen rushing by a train window would fill countless illustrated books. 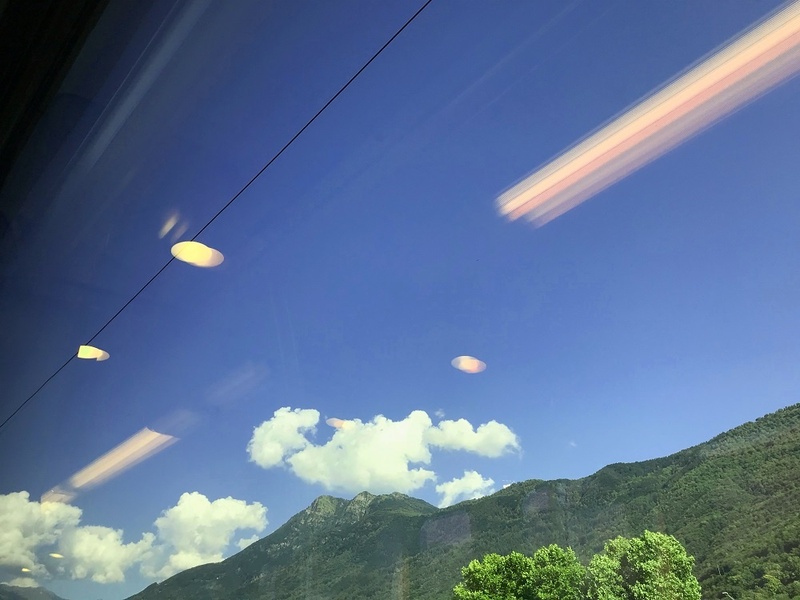 As soon as the train thunders – or, to be more precise, glides – through the canton of Uri, finally reaching the Gotthard Tunnel, Ticino is in sight. With a route length of 57 km, the Gotthard Base Tunnel is the longest railway tunnel in the world and a spectacular example of Swiss precision and bespoke work. Since it opened in mid-2016, travellers from the German-speaking part of Switzerland can reach the Swiss ‘sun terrace’, as this part of the country is affectionately known, even faster. Visitors to this southern region are charmed by its contradictions. An incredibly mild climate contrasts with nature at its rawest. Jagged mountain ridges seem to fall into Lake Maggiore without actually sinking into the lake. 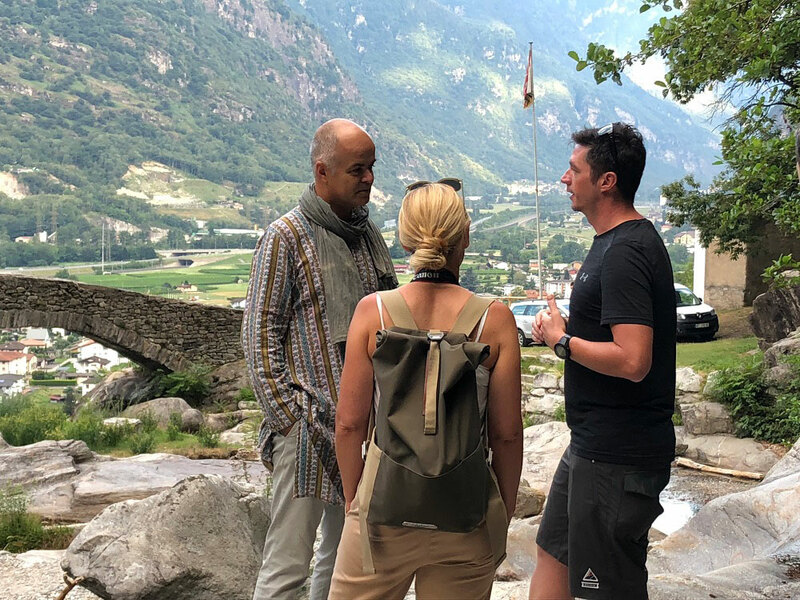 The wilderness of the unspoilt neighbouring valleys contrasts with the friendliness of the local people, known for their sunny disposition and Italian temperament! 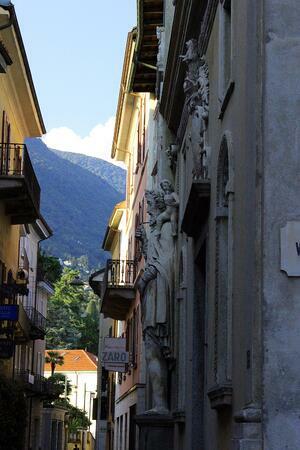 Locarno welcomes us with heat and charm. Quaint courtyards, picture-perfect streets and bars and restaurants teeming with character – the stage is set for filming. The town is busy. 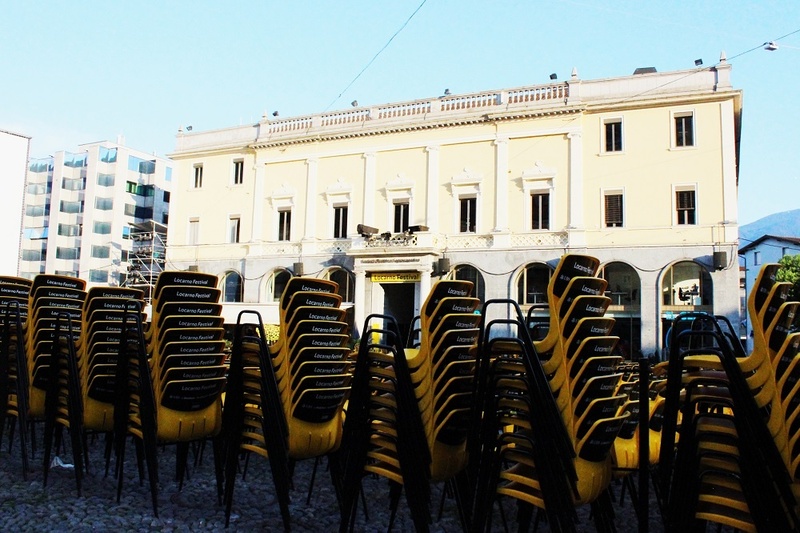 It is decked out for the film festival that takes place every year in Locarno. 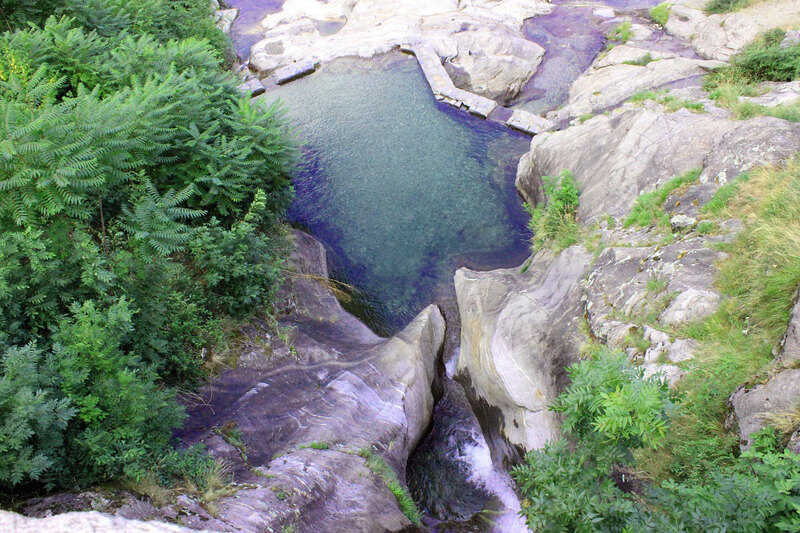 A spectacle that attracts huge numbers of celebrities and cinema buffs to the small canton in the south. Film is celebrated here as a very special cultural asset. The people in this southern canton certainly know how to live the dolce vita. Everything smells that little bit different and the food that we are served late in the evening in the Grotto Raffael in Losone tastes like it does at home. When the owner picks up his guitar to play Ticino folk songs, accompanied by an accordion player, nobody wants to leave! However, the whole team has a long day ahead of it tomorrow... and their beds are calling. After a few hours’ sleep and a hasty breakfast, the team sets off at 7.30 am for the first set – the Santa Petronilla waterfalls above Biasca. This is where Paolo Fancelli retreats to when he is in search of inspiration. The backdrop is breathtaking, the air pleasantly cool. We look back fondly on it later in the day. From the start, everyone is completely focused on their work. Even if the team is working to a tight schedule, a brief moment of calm follows this part of the interview. Sun-ripened tomatoes and basil from the designer’s garden are a delight to savour. Thus fortified, we set out for the third location of the day: Paolo’s studio, also in Biasca. The room is warm, even before the cameras are set up and the first scene is filmed. Sweat is pouring down the faces of the entire video production team, with hours of maximum concentration required for all involved. The project concludes for the time being at the same place that it began, 24 hours before. 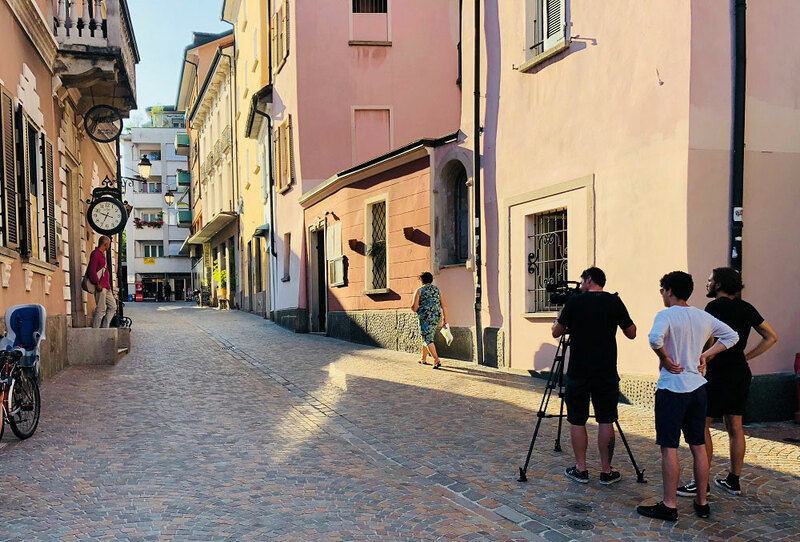 A few final shots are taken in the picturesque streets of Locarno. The team happily toast one another with a cool beer on the Piazza Grande. The scenes are in the can – right on schedule. Want to see the full interview? Follow us on social media so you don't miss it!